Students at Woodland Elementary in Elkhart, Indiana, live in a county where 13% of children aged 5 to 17 live in poverty. Many students at the school were “food insecure,” and went hungry on the weekends. 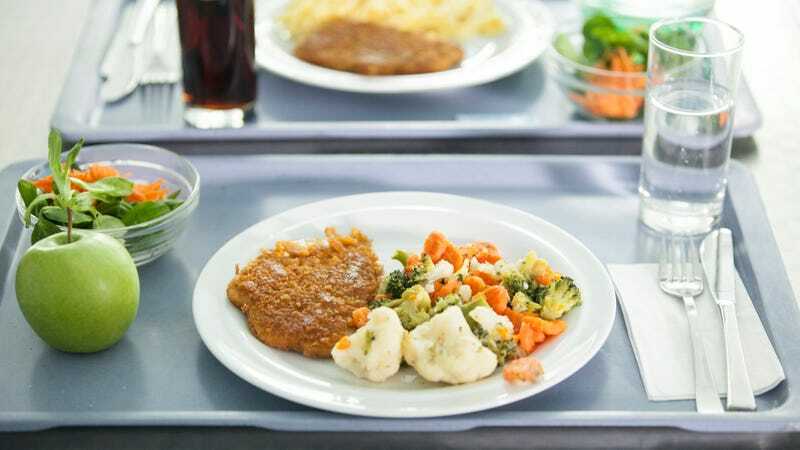 But fortunately, the school has now partnered with a food-rescue nonprofit organization called Cultivate, which “has stepped in to re-purpose leftover cafeteria food into frozen meals that needy students can take home over the weekend,” according to The Washington Post. Cultivate launched in 2016 with a mission to be “a food rescue service and job training in the culinary arts” in northern Indiana. The service helps repurpose food that would otherwise be thrown away by caterers or event spaces and repackage it into meals for hungry people. Its website says that the food can be turned into new meals for as little as 75 cents per meal. Like many schools, Woodland generates enough food waste to create entire meals out of those leftovers. Now Cultivate takes the remaining food (with the help of some volunteers), and repacks it into new meals, which are then packed into “recyclable containers and frozen to maintain freshness, then placed in backpacks that are distributed by school officials to students in the program.” The Post describes some of the meals as French toast and red velvet macadamia nut pancakes for breakfast, and drumsticks and hot dogs for lunch. Cultivate had already been working with a nearby school district in South Bend, and Woodland reports that this pilot program has been greeted with a lot of enthusiasm. That’s unsurprising: This seems like a genius idea more schools should definitely pick up on.